This breaking documentary film takes an in-depth look at the death of Andrew Breitbart and the motive President Obama and the United States government had in killing him. Was Breitbart's Coroner Poisoned to Death? 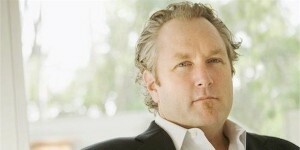 Medical examiners in Los Angeles are investigating the possible poisoning death of one of their own officials who may have worked on the case of Andrew Breitbart, the conservative firebrand who died March 1, the same day Sheriff Joe Arpaio announced probable cause for forgery in President Obama's birth certificate. 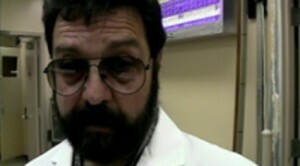 Michael Cormier, a respected forensic technician for the Los Angeles County Coroner died under suspicious circumstances at his North Hollywood home April 20, the same day Breitbart's cause of death was finally made public. "There are mysterious circumstances surrounding his death," said Elizabeth Espinosa, a news reporter for KTLA-TV. "We're told detectives are looking into the possibility that he was poisoned by arsenic." Cormier, 61, had been rushed to Providence St. Joseph Medical Center in Burbank after complaining of pain and vomiting. Police probe: Breitbart's coroner poisoned to death? The hospital then notified Los Angeles Police about Cormier’s death. Toxicology results are not expected for five to six weeks. Sources told the Times several hazardous materials experts and officers searched Cormier’s home in search of what may have caused his sudden demise. “The sources, who spoke on the condition of anonymity, said that finding the presence of poison does not necessarily mean the death was a homicide, because the substance could have accidentally entered his system,” the Times reported. Hamilton also noted investigations are standard procedure when there’s a suggestion of anything other than natural causes in someone’s death. It’s still unclear if Cormier personally worked on the probe into Breitbart’s death, and WND has left messages with the coroner’s office seeking comment. Breitbart was founder of BigGovernment.com among other websites. The night before Breitbart died, WND senior staff reporter Jerome Corsi arranged for Breitbart to interview Arizona Sheriff Joe Arpaio, who the very next day held a news conference to announce there was probable cause to believe President Obama’s birth certificate released on April 27, 2011, was a forgery, as well as Obama’s Selective Service Card. In a column, Farah recalled meeting Breitbart years ago when he worked as a backup editor for the Drudge Report.